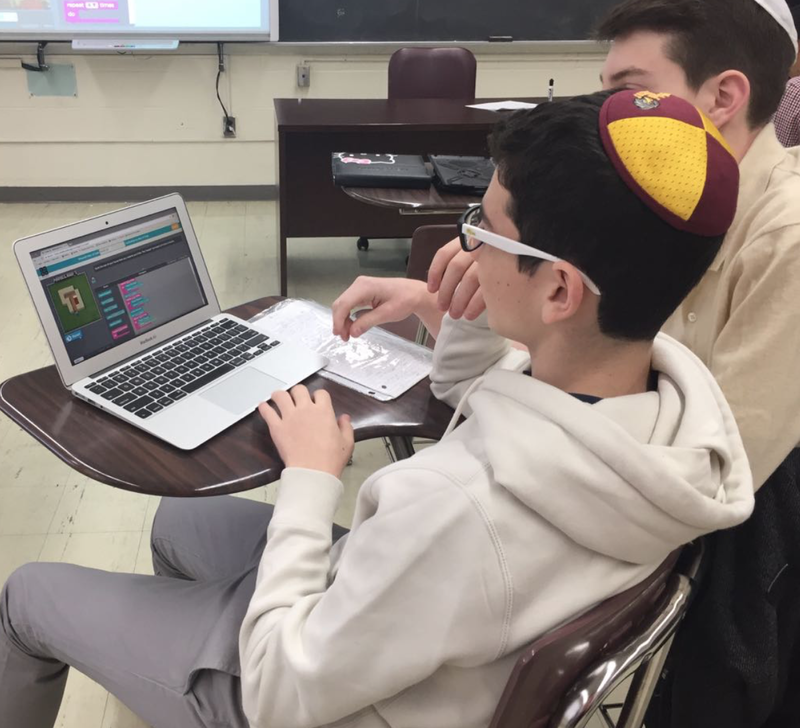 The juniors' program, which was held on Friday, February 24th, began with introductory discussions and coding tasks in classes that were grouped by level. 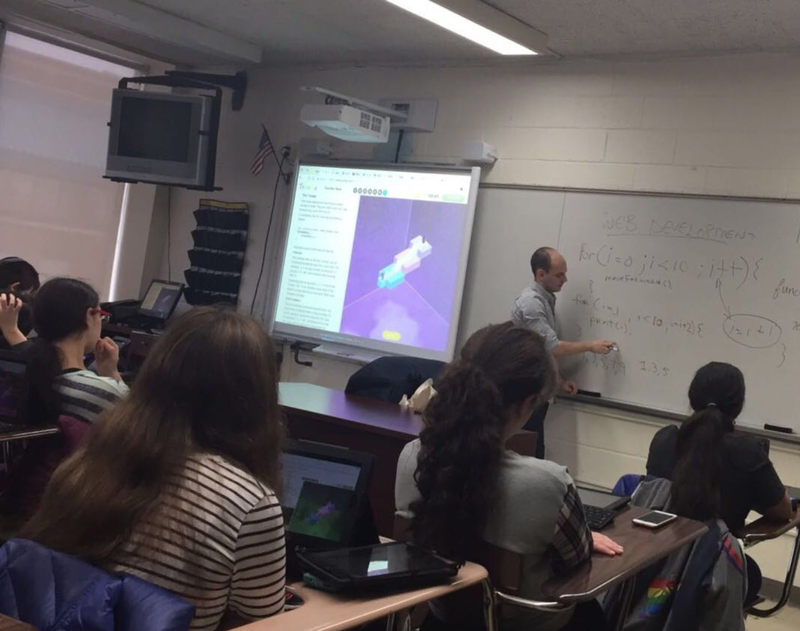 Mr. Horowitz, the high school technology and robotics teacher, formed an advanced class of juniors who have already taken a number of tech courses in school. All classes were taught by recent graduates of 12 week coding boot camps, and who, like many of our students, started with no prior coding knowledge. Each student worked on solving puzzles on Code.org and Tynker.com on their iPads using Bluetooth keyboards donated by Sakar International for students to use in all three boot camps. Students were surprised at how much they can learn on their own using these online tools. 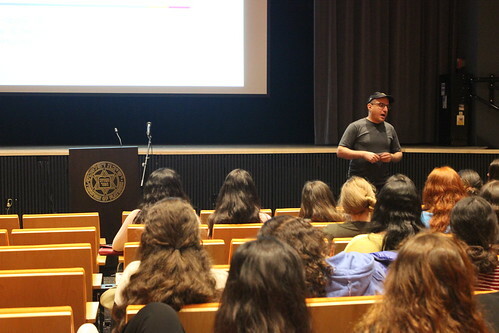 After the junior's morning session, students heard from Google Senior Advisor Jack Hidary (HS ’86) - who with the assistance of Joe Tricot (HS '13) brought the program to the school - as well as fashion writer Sophia Chabbott (ES ‘94). Mr. Hidary explained to students the importance of coding and tech in today’s job market. Ms. Chabbott, who was a senior editor at Glamour Magazine and now serves as Web Director for Women’s Wear Daily, discussed how almost all publications must maintain an online presence. She explained that by utilizing her technological familiarity on a daily basis she has found success in the fashion writing industry. 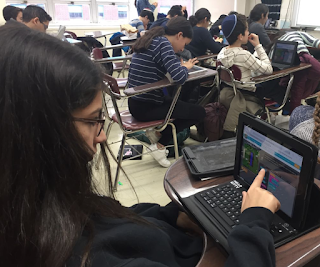 After hearing from the speakers, students regrouped in their classes and worked on a Code Academy web design activity. The students finished the day with a sense of accomplishment at how much they were able to create with just a few lessons in coding. On Sunday, March 26th, sophomores and 8th graders were invited to join a special boot camp set for them, where students chose to spend their Sunday morning exploring these new skills with skilled and experienced teachers who are graduates from intensive boot camps. They experienced working with "block code" on code.org and quickly transitioned to writing actual code on tynker.com. The students were extremely focused on learning all they could in this one session and therefore left enriched with real skills and the understanding that they too can become coders. One 8th grader was so excited at the end of the workshop that she shared with her teacher, Rabbi Yitzi Herzberg, "I really feel so smart now!" 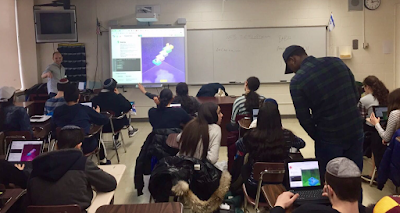 We continue to bring to our students opportunities to learn coding, engineering and technology at the Yeshivah in order to prepare them for futures that demand these essential skills and knowledge. We look forward to offering more workshops and boot camps in the future to include the seniors and faculty in programs that will be designed especially for them.